There are many barriers which prevent individuals from accessing safe and fair livelihoods. Research has shown that sustainable, fair and meaningful livelihoods, for women in particular, results in benefits for entire communities, greatly reducing household poverty, improving health, access to education and providing opportunities for financial independence. In Peru, MMI’s women’s Livelihoods Project , in partnership with local NGO, Centro de Promocion Social Solidardad para el Desarrollo, supports two women’s associations that produce handmade Fair Trade products for sale. 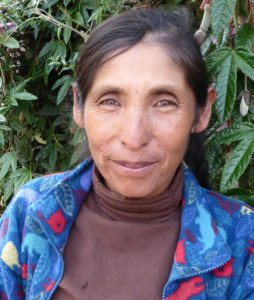 Every time you purchase a Fair Trade product in Australia through www.ethica.org.au you directly contribute to women like Veronica Alvarez, allowing them to access regular skills development in areas such as business mentoring, conflict resolution and leadership training, marketing, design and financial management. All fundamental tools that can help Veronica generate an independent and sustainable income to actively support, empower and meet the needs of her family with dignity.